A being of this order is a revenant of ages long past. 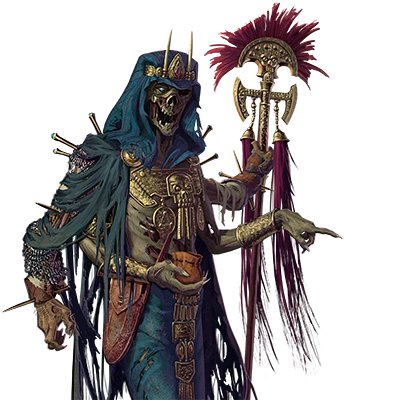 Anyone who encounters an Ancient Lich likely has far worse things to worry about than death. Special Notes: This unit has magical attacks, which always have a high chance of hitting an opponent. During battle, this unit can drain life from victims to renew its own health. This unit’s arcane attack deals tremendous damage to magical creatures, and even some to mundane creatures. This unit can move unseen in deep water, requiring no air from the surface.